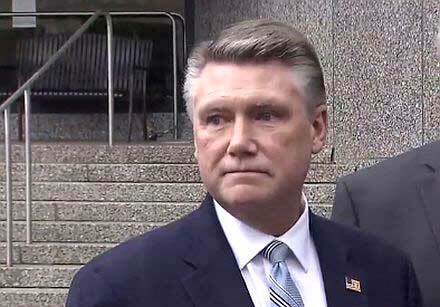 That’s the message for Republican candidate, Baptist minister and aspiring track star Mark Harris this week, who asked a Superior Court judge to do what North Carolina’s election honchos won’t – suspend disbelief and declare him the victor in Congressional District 9. The judge did the right thing, telling Harris and a blustery and bewildered North Carolina Republican Party to cool their heels while the state’s election office continues its work. Harris, and the GOP leadership in the wings, argues that the candidate – who won unofficially by about 900 votes – can’t wait forever. True, but there’s nothing interminable about this investigation, with a newly-assembled elections board expected to convene in a matter of days. The board that initiated this investigation last year dissolved at the end of December, after courts ruled legislative leaders had unconstitutionally built the panel, but the state’s election investigators have continued their work in the meantime. Yet Harris’ attorneys made their case Tuesday that the judge should declare the minister the winner anyway, an argument that’s light on logic and heavy on spleen. Judge Paul Ridgeway called it an “extremely unusual situation” Tuesday, before dismissing the notion that the judicial branch should entangle itself in this morass, at least not yet. And there is something pungent, isn’t there? Diligent reporters swarmed District 9 in the days after the election, when ex-elections board member Joshua Malcolm said he would not “turn a blind eye” to allegations of election fraud in the district, allegations that had swirled in the suburban district for the better part of two years. In the dogpile that followed, powerful Republicans signaled openness to a new election and then declared, without a hint of irony, that Harris should be seated immediately. Indeed, he should take a seat, but not in Congress. He should take a seat with the rest of us and wait to see what investigators find. Senior Deputy Attorney General Amar Majmundar told the court Tuesday that “it’s an open question” who won the November election. Harris and company would rather North Carolina not ask the question, but simple trust in our institutional processes – for better or for worse – is in short supply in 2019. And the voters would be foolish to place their blind trust in a candidate who reportedly hand-picked a get-out-the-vote organizer in McRae Dowless with a tortuous past. We learned later of the emerging evidence that absentee ballots were – best-case scenario – mishandled by Dowless’ operation. 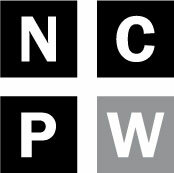 In the worst-case scenario, operatives working for a political candidate conspired to thieve an election, tampering with hundreds of absentee ballots in Bladen County and perhaps other counties as well. Laws were almost certainly broken. Representatives for Harris and his Democratic opponent, Dan McCready, acknowledged both candidates are in the dark when it comes to the ongoing investigation, but that’s precisely where they should be until this probe wraps, whenever that may be. When it finishes, we should be confident in the knowledge that the investigation was untainted by influence from either party or either candidate. Additionally, if there is sufficient evidence to believe that the District 9 irregularities preceded the November election – impacting Harris’ narrow primary victory over then-incumbent Robert Pittenger – officials should order a new primary and we should begin the process anew, as maddeningly exhausting as that sounds. Most can agree with that assertion, even if the most partisan of operatives stamp their feet. It’s our belief in the democratic process that’s at stake. By comparison, Harris’ political future – muddy as it is – is small potatoes.